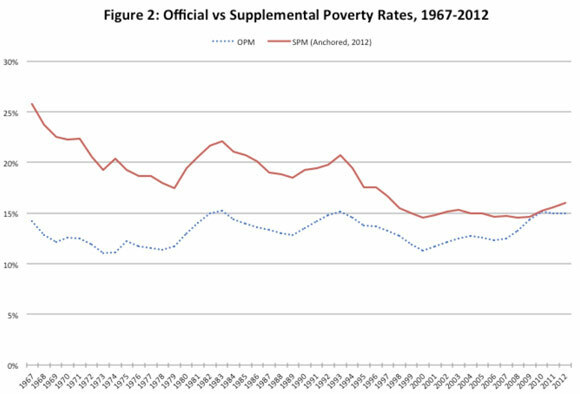 Have the Anti-Poverty Programs Failed? The growing consensus is that the war on poverty has not failed once you use more appropriate measures, according to John Cassidy in the New Yorker. To see the article: Click Here. He shows a chart using the official poverty measure. The official poverty measure was created in 1963 based on a multiple of a thrifty meal plan. It has long been regarded as an inaccurate measure in terms of actually measuring what people need to meet basic costs of living (technical term: it lacks content validity). However, it has the benefit of being reliable because it is the same measure merely adjusted for inflation, so it is an apples-to-apples comparison. PEW just published survey results on views about the government’s role in reducing obesity. Basically, the PEW survey found that people opined that obesity has an impact on society, but did not see much of role for government action. 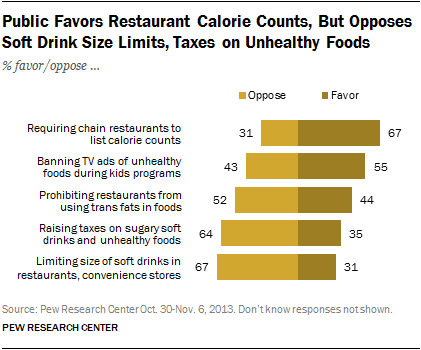 PEW summed it up: Yes to Calories on Menus, No to Soda Limits. Link Between Antibiotics and Obesity? 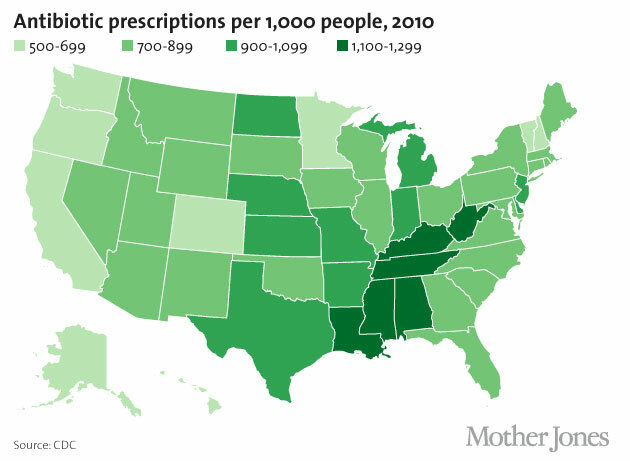 Mother Jones printed an article today by Kiera Butler and Jaeah Lee looking at the link between antibiotics and obesity. An interesting video on wealth inequality–a way to show what wealth inequality in the US looks like. Of course, you would still want to verify the accuracy of the data, but as way to portray a complex issue using data–well, I am impressed. 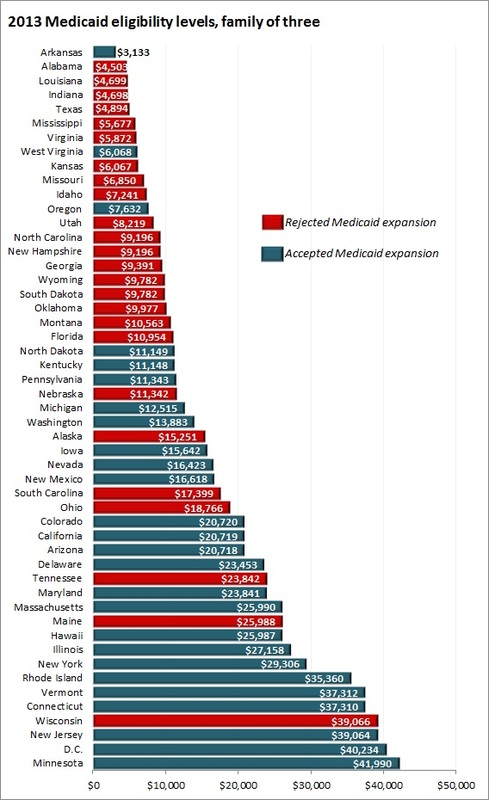 Jon Stewart takes on Medicaid expansion: see here for as long as this link lasts: Click Here Or try this:Click Here Some charts to make his point. The Center on Budget Policy and Priorities has provided more information about the latest Census report on Poverty and Health Insurance. 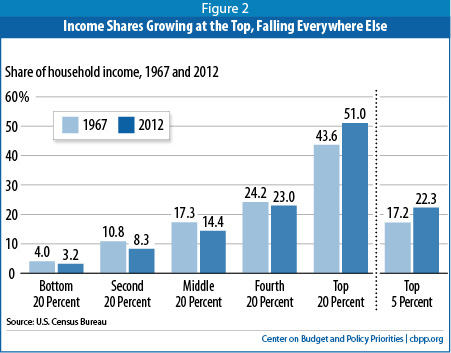 Once chart compares the income shares by quintiles of 1967 and 2012. 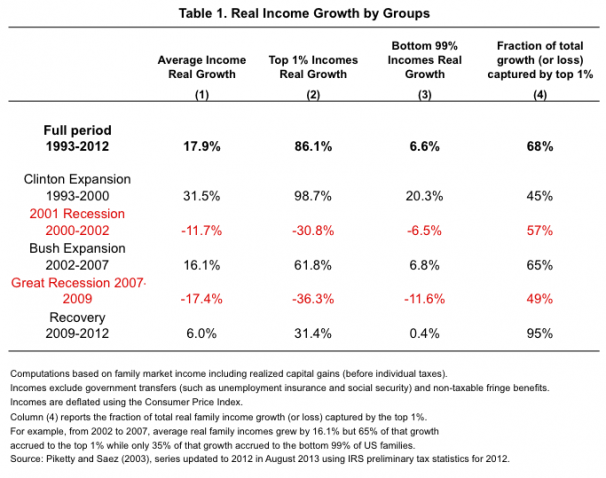 Clearly, the issue of income and income inequality is trending. Among the articles with data is one from the Washington Post. 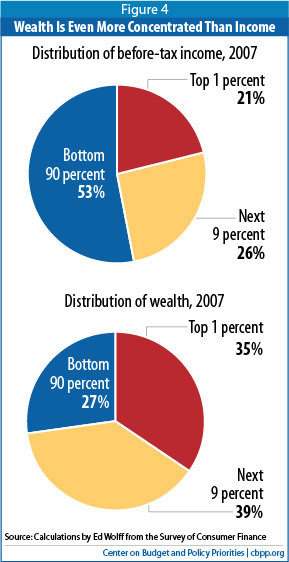 It is a chart that shows how the top 1 percent made out over the past twenty years as compared to everyone else. 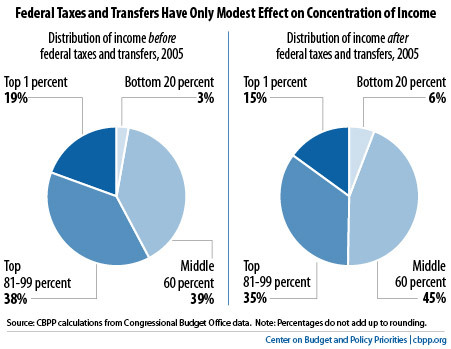 It is also a good example of how simple averages can mislead–the difference between the overall average and the average for the 1 percent and the other 99 percent are quite different. Among the many charts and tables, I think these two are very interesting. 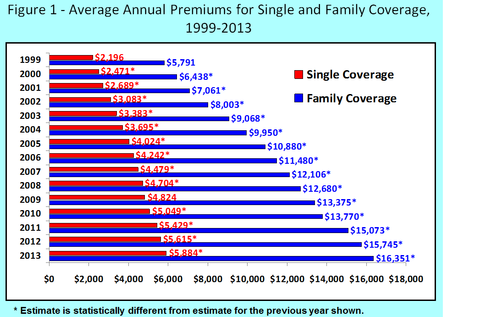 This chart, shows the costs (not controlled for inflation–i.e. current dollars) over time and doesn’t compare benefit packages–so there are some caveats here. If I was assigning a research project, I would ask students to look at the rate of inflation over this same time period and look at rates of change, to see whether the insurance premiums have tracked with inflation. Alternatively, I could ask students to to convert these to constant dollars, so that the rate of inflation is controlled and therefore can be compared.